I am blaming my dear friend Teddy aka the Evil Bunny, for introduing me to the world of dolls, quite a few years ago. 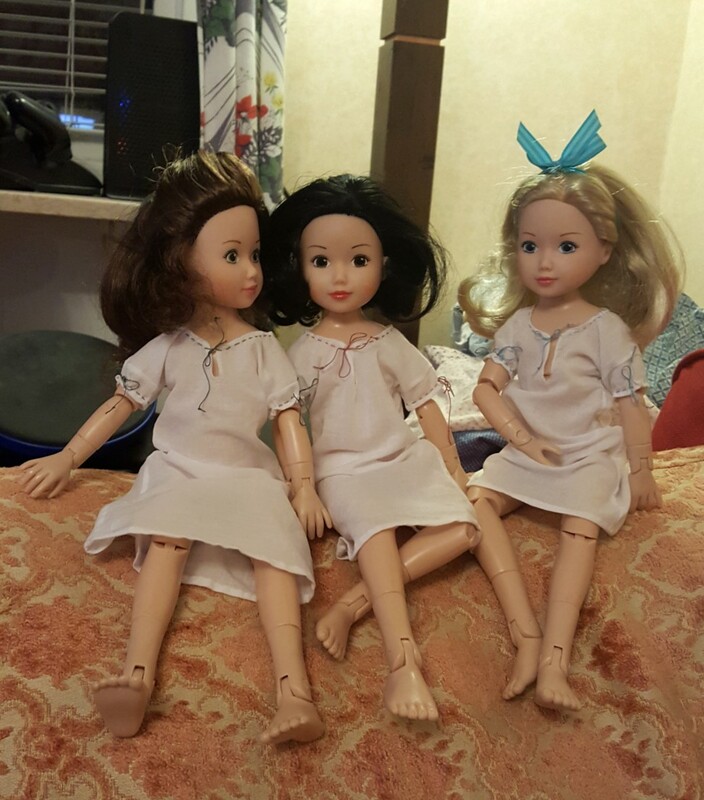 With all my other expensive hobbies (and losing my sick benefits, because chronic psoriatic arthritis can apparently just disappear) there was no way that I could get into real Asian ball jointed dolls, but he tipped me off about these dolls made by Zapf for Disney some years ago, and I got three dolls on eBay. They're 13 inches tall and has lots of joints, which is really what I wanted most of all. The Toy Box Philosopher has a thorough review of them here. 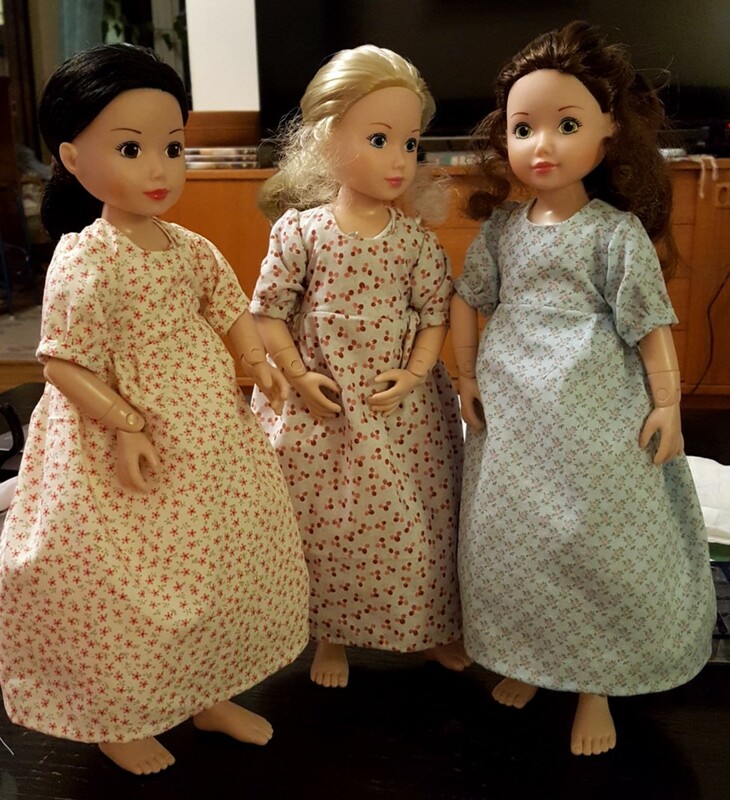 Anyway, I am not sure if they are going to live in the 1810s-1820s forever, I'd like to knit stuff for them too, which would work better with later periods, but that's where I started making clothes for them. And in their dresses, which I finished today. Congratulations on finding what you wanted! The clothes are really nice, and it's interesting how one doll is just a doll but a group of dolls "interacts" and becomes more lifelike. Wow! That would be insane. But awesome! A blog about historical costuming and the history of dress, mostly from the period 1000 to 1600, but with occasional excursions into the 17th, 18th and 19th centuries. 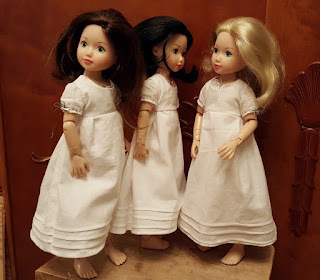 The blog started as a way for me too try and make the information from my old costuming web page that I started over ten years ago more accessible. Most of the content was moved over, and you find the content of the old web pages as pages, listed to the left in the blog. 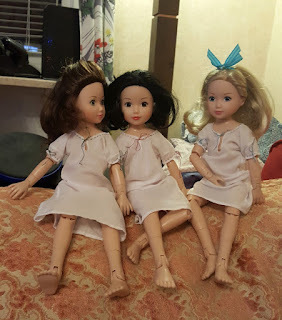 Gradually more, new, costumes are added, but in the blog you also find posts about dress history in general, not only stuff that I have made. You can also follow this blog on facebook, where I also post tidbits inbetween regular blog posts. And I have a winter bonnet!